It’s difficult to imagine a home without a sofa! Imagine not having something to sink into at the end of a tiring day! Selecting a sofa is something that most homeowners take seriously. 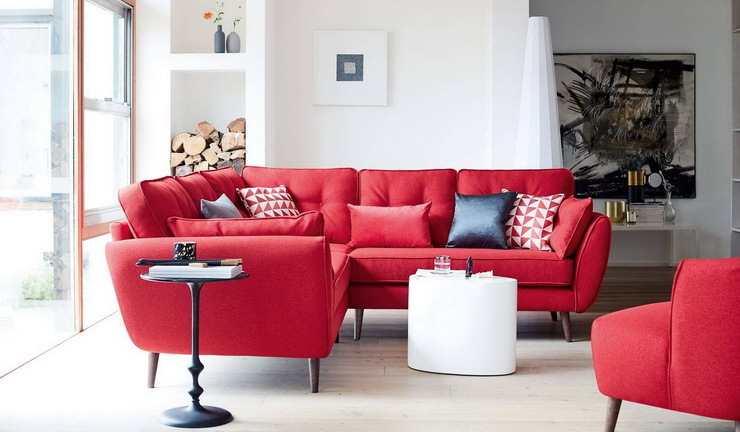 While neutral colours are still preferred, the trend of colourful sofas is catching up! 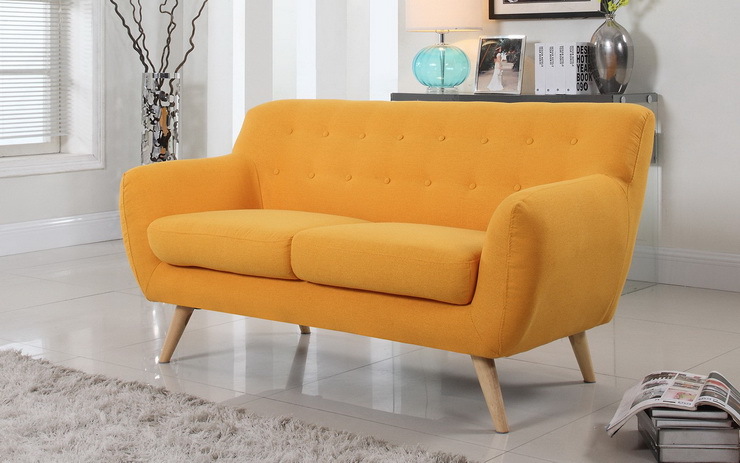 Still, when you set out to get the gorgeous, bright-coloured sofa, you are in two minds because you are not sure if buying such a vivid coloured sofa is the right choice. There are many pros of getting a colourful sofa as it can lend some energy to any room and also stands out. Then, to be able to sit on a sofa with your favourite colour can be soothing as well. Still, some questions need answering to be able to do full justice to your favourite sofa. Want To Buy A Coloured Sofa? Make Sure You Read This Before Buying One! Here are some of the things you need to consider before buying a coloured sofa! 1. Which colour to choose? Unless you have a particular shade in mind, deciding which colour to opt for can be confusing. Some experts suggest a simple formula – if you have the colour in your wardrobe and you love wearing it, then you will love it as your sofa colour as well. Remember, there are two variations of colour, the light shades, and the brighter hues. For example, if you love blue, then you can either opt for a light blue shade or the brighter version of it, the navy blue, copper blue, etc. To conclude, if you want a colourful sofa in your home, go ahead without any worry. Many interior designers motivate buyers to go with the colour they love. For example, if you love purple, do not hesitate to buy the best sofa in the colour. Well, the love for the colour is a good reason to buy the sofa and you will have supporting elements in the same colour in your home since it’s your favourite colour! If you still have doubts, then go for a blue sofa because it works with any colour or décor combination. Opt for navy blue, denim shade or cobalt blue. 2. Would it suit your home? There are no hard and fast rules as to who should opt for a colourful sofa and who should not. A rule to remember is a colourful sofa looks best with minimalist décor. If you are not particular about changing the accessories or décor as per season or trend, then you should get that bright-coloured sofa. Those who love to change the interior design of their home often, such a sofa may not always go with the décor you have chosen. If you are living in a rented place and if the walls seem too dull, a colourful sofa can brighten up space. For small homes where there isn’t much space for many furniture pieces, a sofa in dazzling hue can be a wonderful addition. 3. Where should you keep it? If you are still doubtful about having a colourful sofa in your living room, then why not place it in your bedroom or study room? Though the living room is the preferred place for a sofa, you can place it in other rooms as well depending on the kind of space you have. Your home office space too will be a good place for some colour if you have enough space. The best match for a colourful sofa is a neutral wall for they are complementary. Generally, most homeowners prefer a subtle colour for the walls of their living room to invoke a relaxed and calm feeling. A vibrant sofa would be a great option for such living rooms as it would offer a pop of colour and cheer up the entire space. Having a mixed colour palette in the room with the bright sofa offers symmetry lending a visual delight. If you haven’t started your décor yet, then you can keep your colourful sofa as the leading star of the room and start designing around it. If you are getting your sofa to a decorated room, the colour should match the existing colour. To conclude, if you want a vivid-coloured sofa in your home, go and get it. Do not be afraid about the décor or if you would get it wrong. The right sofa can change the ambiance of the room and light up darkest spaces and even lend a welcoming feel to any place. Get the furniture you love, for at the end of the day, if the furniture brings a smile to your face, it’s all worth it. All you have to do is find coherence, and you can enjoy your new possession. If you are looking for advice on doing up your home, get in touch with one of Hipcouch’s experts today! Newer PostCan You Really 'Handle' A Handle-less Kitchen? Here's What You Should Know!